Home » Fairs , Press release » Romania - Hungary - Serbia: Together For the 7th Time at ENREG ENERGIA REGENERABILA® in 2015! Romania - Hungary - Serbia: Together For the 7th Time at ENREG ENERGIA REGENERABILA® in 2015! The biggest event on renewable energy and energy efficiency in construction and renovation from the west part of Romania, ENREG ENERGIA REGENERABILA® - comes back between the 4th - 6th of March 2015, to Expo Arad. The new feed-in tariff (FIT) scheme is expected for approval in Romania. It was long discussed since the end of 2012 and anticipated with big interest from solar developers and investors. Besides the international trade fair, ENREG will be marked by a number of important meetings, workshops and conferences that will debate practical, technical and legislative issues regarding the following renewable energy themes: PV, biogas, cogeneration, hydropower, wood energy, energy efficiency in buildings, waste energy, LED lithing, consultancy and others. In the framework of ENREG ENERGIA REGENERABILA® PV Platform Romania - the meeting point for experts in the PV field in Romania will be organized for the 3rd time. PV Platform Romania will host the 3rd edition of the PV Conference – Changes & Risks. REECO is planning for the 2015 edition to organize joint stands from Hungary, Serbia and Germany, as well as joint LED stand and the Professional Business Lounge for partners. 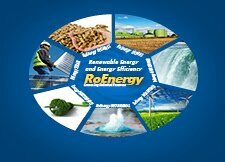 For more information about ENREG ENERGIA REGENERABILA®, you can visit the event website www.enreg-expo.com. ENREG ENERGIA REGENERABILA® is the only trade fair in Romania and in the region that brings together 3 countries’ interest for renewable energy: Romania, Hungary and Serbia. It is the biggest international trade fair and conference for renewable energy and energy efficiency in building and renovation that takes place annually in the euro-region Danube-Cris-Maros-Tisa and the west part of Romania, since 2009 at Expo Arad. REECO RO Expozitii S.R.L. is organizing the international trade fairs and conferences RENEXPO South-East Europe (Bucharest) and ENREG (Arad). REECO is part of the REECO family, which is headquartered in Germany and is one of the largest European trade fair and conference organizers in Europe in the areas of renewable energies, energy efficiency and energy efficient building and renovation. Since its incorporation in 1997, REECO has organized over 1,000 trade fairs and conferences, hosting an average of 50,000 visitors and more than 2,000 exhibitors a year. The event portfolio currently includes eight trade fairs and 60 conferences in Germany and Europe. REECO employs around 50 employees in five locations in Germany, Austria, Poland, Romania, Serbia, Bosnia and Herzegovina and in 2015 additionally in Montenegro and Albania, with further potential to expand to Macedonia and Croatia in 2016.